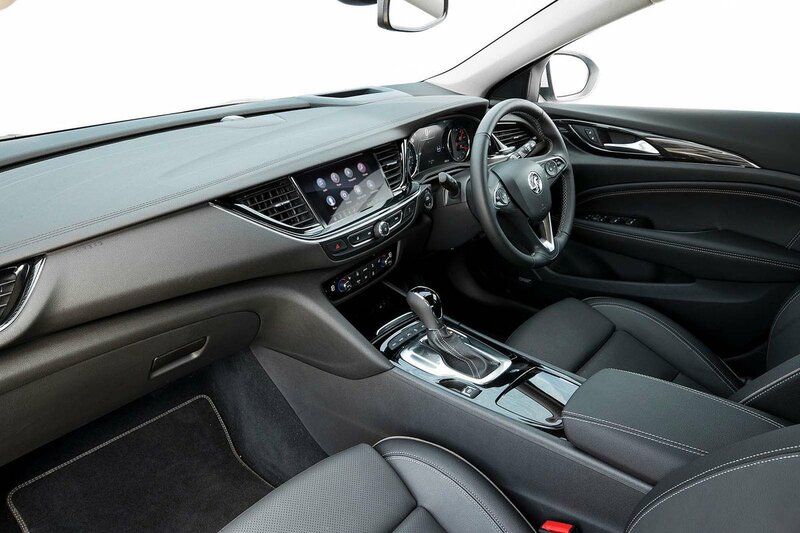 Vauxhall Insignia Sports Tourer Boot Space, Size, Seats | What Car? There’s loads of space for two adults to sit side by side without fear of knocking elbows, and the seats go back enough for long-legged drivers. Head room won’t be a problem, either, since the seats can go nice and low. Storage is good, too. The front doors have generously sized pockets that can take a small bottle of water and plenty of other bits and pieces, and there’s a spacious cubby under the centre armrest. In front of that is a pair of cupholders and another lidded cubby with enough space for a smartphone. There’s just as much room in the rear. We doubt anyone will complain about the amount of leg room, because even our six-foot-plus testers found their knees nowhere near the back of the front seats, even with the latter occupied by similarly sized colleagues. And, unlike the Insignia hatchback' s head room-zapping roof line, the horizontal roof of the Sports Tourer model presents no such issue. It retains a large hump in the floor, though, which can prove annoying for a middle-seat passenger. 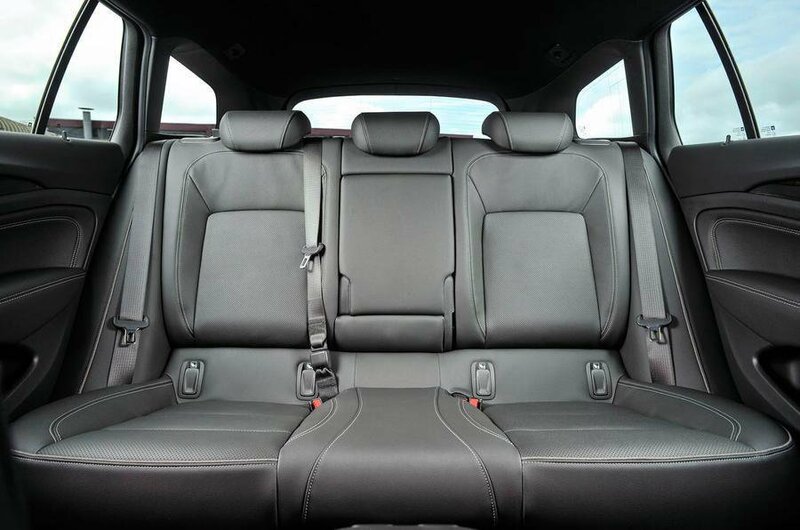 Ultimately, as versatile as this car is, nothing in this class beats the Superb Estate for rear-seat space. Design – and, annoyingly, our preferred Tech Line Nav – models have regular 60/40-split rear seats that can only be folded by manipulating a handle on the seatback itself. The rest of the range comes with handier 40/20/40 split-folding seats with one-touch release handles in the boot. Fold the rear seats down and you’ll find a small slope to push items up, but it’s no more awkward than rivals. There’s no flat-folding front passenger seat to enable you to carry really long loads – a function that is available on the Superb. 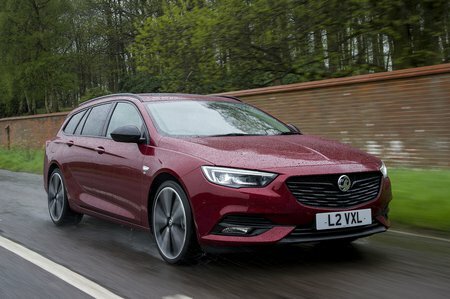 Compared with the rival Ford Mondeo Estate, the Insignia Sports Tourer’s boot looks pretty spacious – its square shape means you can squeeze in a few more bags of shopping with the seats up or down. It also has a flush floor with a low load height which leaves no internal load lip at the edge of the tailgate opening: a boon when loading heavy items. In outright capacity, though, the Insignia falls a couple of small suitcases short of the Superb and Passat estates.